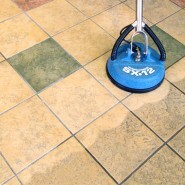 The purpose of this article is to outline the procedural steps for daily cleaning ceramic tile floors that are unsealed or sealed. If deep cleaning of ceramic tile and grout is the topic you are interested in, please visit a prior article written on deep cleaning ceramic and grout floors – (Cleaning Ceramic Tile Floors – Deep Cleaning and New Product Innovation). 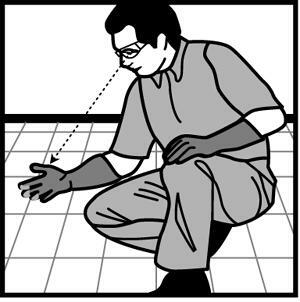 Daily cleaning of commercial ceramic floors is easy as long as you follow proper procedures and make sure you complete the task correctly and on a daily basis. Doing so will extend the length of time between having to perform a deep cleaning procedure to remove excessive soil build up. Deep cleaning is a much more labor intensive and costly task. Not performing the proper daily cleaning task in a commercial environment for cleaning ceramic tile floors will increase the soil build up in the pores of the ceramic floor and grout lines. When this occurs, cleaning becomes more difficult and requires deep cleaning. 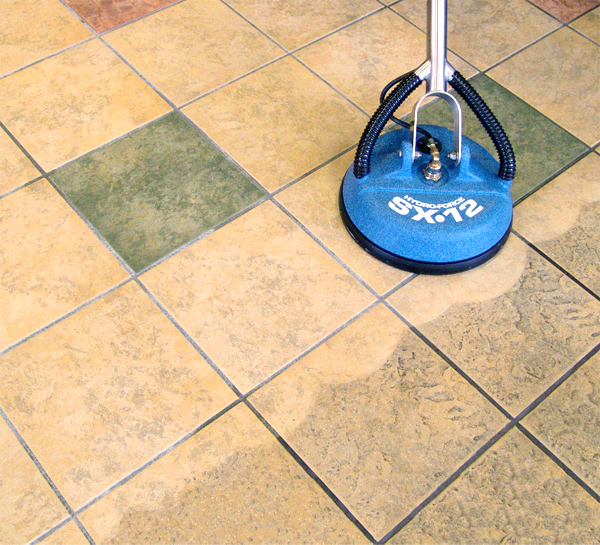 There is nothing complex about the routine cleaning ceramic tile floors and the following the simple cleaning steps in this article will produce the positive results and reduce overall annual cleaning cost. Dust mop or Sweep Floor: Using a putty knife or scraper, scrape any debris adhered to the floor such as gum, labels, etc. Fill a bucket with a quality grade Neutral Floor Cleaner or Hydrogen Peroxide Cleaner using according to label directions. 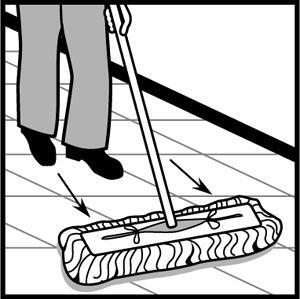 Using a wet mop, damp mop the cleaner solution uniformly on floor with the mop. Use a small automatic scrubber such as the TASKI Swingo Models #150 or #350. These two units are small and ideal for daily cleaning in tight confined areas. They employ a cylindrical brush system that gets into the grout lines. If using a small automatic scrubber, fill the solution tank with a quality grade Neutral Floor Cleaner or Hydrogen Peroxide Cleaner using according to label directions. Utilize a pass procedure with the automatic scrubber, laying the cleaning solution down and vacuuming up the solution in one pass. Inspect Floor: after it has dried. If any residue is present, repeat rinsing step by damp rinsing with a mop and bucket filled with clear potable water.